We have a wide range of pipe fittings and accessories available. From PVC and ABS to stainless steel and brass, there is a huge selection to choose from. Our top brands include RS Pro, Legris, George Fischer and JG Speedfit. Pipe fittings help the flow of liquids or gas. They are used to connect systems of straight pieces of pipe and can change the direction of flow. Fittings can also assist flow through diameter changes between sections of piping. There are many different types of fittings and these can all be made out of different materials. At RS Components we stock many types of pipe fittings. Our most popular are threaded fittings, malleable fittings, compression fittings and push-fit fittings. Couplers - These have two threaded ends that allow two pipes or tubes to be joined, welded (steel), brazed or soldered (copper, brass etc.) together. Push fit - Common in plumbing due to their ease to install, they require no specialist tools. The sockets simply fit together with just a push. Elbow - These fittings are installed between two pipes to create a change of direction. They have either a 90 or 45 degree bend in their centre. Reducer - If a pipe needs to change diameter a reducer fixture connects the different sized ends together. Copper – can withstand very high temperatures. 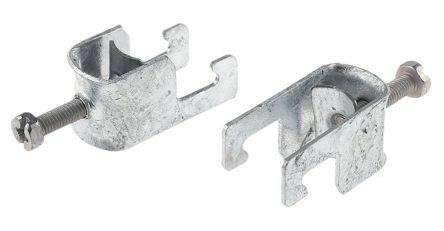 Always used for the final connections made to boilers/ furnaces for central heating. PVC & ABS – light and non-toxic. They have more give than copper therefore when water freezes and expands in the piping there is little chance of it busting. Stainless Steel – Often used for aesthetic reasons where plumbing is exposed. More corrosion resistant than copper but more rigid. Iron – Malleable (ductile) iron is a good choice in industry because it is stronger than copper and plastic but it is rarely used in domestic installations. PEX – Cross-linked high-density polyethy;ene (PEX) is ductile and tough and works well in very low temperatures. When installing be aware that it can expand drastically and it needs to be shielded when used outdoors because it is susceptible to UV. What pipe accessories are available? In our comprehensive guide we look at what PTFE tapes are, what they’re used for, as well as the different types that are available on the market. In our comprehensive guide, we look at what pipe clamps are, how they work and what they’re used for, as well as the different types that are available.